With the holidays behind us and winter upon us, there’s no better time to fill out your 2019 (and even 2020!) race schedule. For many runners this schedule will include one or more “bucket list” races, chief among these the six marathons that comprise the Abbott World Marathon Majors. Founded in 2006 to advance the sport and raise awareness of its elite athletes, the World Marathon Majors (WMM) are — in chronological order — Tokyo, Boston, London, Berlin, Chicago and New York City. Due to their burgeoning popularity in recent years, registration for each of these six events is now restricted to a lottery selection process or other approved qualifying method (e.g. finish time or charitable fundraising), thus further enhancing each race’s prestige and perpetuating the cycle. As the number of applications continues to grow — London alone received 414,168 applications for this year’s race — the odds of lottery success continue to shrink, and gaining entry to each of these events has become as easy as running in high heels. With that in mind, we’ve created the following primer to demystify the World Marathon Majors application process. Our handy step-by-step guide will help you to plan accordingly, reduce anxiety and optimize your chances of success. This approach requires a fundraising minimum for guaranteed entry, but since each event partners with dozens to hundreds of official charities, you’re sure to find a cause that inspires you. Run fast enough to meet the time-based qualifying standards. Boston has no lottery and so a qualifying time is mandatory (see below; charity runners excepted). New York City is the only member of the World Marathon Majors that accepts a qualifying standard for the half marathon distance, while London’s Good For Age Entry is valid only for UK residents. Reserve a package deal that includes travel, lodging and a guaranteed race entry. With a tour operator you avoid the lottery, plus you’ll know within days or weeks whether you’ve secured a spot. And if you do happen to win the official race lottery, any reputable tour operator will credit you the price of their guaranteed entry. Yes you’ll pay a bit of a premium for the convenience (this is their business, after all), but for those seeking a hassle-free way to control their own destiny — especially those who want to run with friends or family — this option may be the best bet. Marathon Tours & Travel works closely with the WMM team, and having traveled abroad three times with them we can vouch for their professionalism. NOTE: We recommend joining the official AbbottWMM Six Star Journey Facebook group and following each of the six events on social media for specific questions and to stay informed of time-sensitive offers. 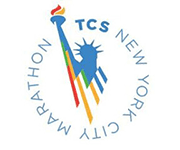 Case in point, on July 11, 2018 the TCS New York City Marathon, in partnership with Strava, announced a limited number of guaranteed, non-complimentary entries to the 2019 marathon for runners who registered for and completed a virtual (and verifiable) 26.2-mile run anywhere in the world between November 1–4, 2018. Registration for this “Virtual 26.2M” was opened immediately on a first-come, first-served basis and reached capacity within hours. Tokyo is not only the youngest of the World Marathon Majors in absolute years, having run its inaugural race in 2007, but also the new kid on the block, having been added to the series in 2013. The lone Asian member of the WMM, the race has a capacity of 36,000 runners and the highest male:female participant ratio of the series at just over 3:1. With enthusiastic spectators (an estimated 1.7 million in 2016) lining the crowded course at every turn, Tokyo offers its runners a unique cultural experience in one of the world’s most vibrant and cosmopolitan cities. Click for details on Tokyo’s “Run with Heart” charity entry and “RUN as ONE” time-qualifying standards. Charity Runner registration for the 2019 event, which required an upfront donation of 100,000 yen or more, opened on a first-come, first-served basis on July 2, 2018 and reached its capacity of 4,700 participants within three days. In addition, 300 slots were made available through the race’s Active Charity program, with applications to individual charities due by August 31, 2018. Now in its 123rd year, the world’s oldest annual marathon is the race at the top of every serious marathoner’s wish list. And the event — held each year on Patriots’ Day — lives up to the hype with top-notch choreography, raucous crowds and its renowned unicorn medal waiting to celebrate your achievement at the finish. But here’s the catch — Boston is the only member of the series with strict age- and gender-adjusted qualifying standards, while a fundraising minimum exists for those looking to qualify as charity runners. No matter how you get there, though, “Right on Hereford, left on Boylston” are two directions you won’t soon forget. Click for details on Boston’s official charity program. See below for time qualifying standards, updated for the 2020 race. For UK residents, a limited number of guaranteed entries are available for purchase each year on a first-come, first-served basis from Sports Tours International Limited and 2:09 Events. These entries were made available in June 2018 and sold out within minutes. With its densely packed field boasting all manner of costumed runners, London has earned a reputation as the ultimate 26.2-mile party. The course passes many of the city’s historic landmarks including London Bridge, Tower Bridge and Big Ben while finishing in front of Buckingham Palace. Runners agree that London is unrivaled for its quality of spectator support, with RaceRaves member @Lorelei calling its crowds “the best on the planet”. At the same time it’s one of the most difficult races on the planet to get into, with an estimated 2017 acceptance rate of — this is not a typo — less than 7% of lottery entrants. Crikey! Click for details on charity entry and “Good For Age” time-qualifying standards. The fact that the past seven men’s marathon world records (most recently in 2018) were all set in Berlin speaks to the course’s fast and flat profile. As the first of three World Marathon Majors staged in the fall, Berlin typically offers perfect running weather on a course that showcases one of the most world’s most historically significant cities. Though the crowded, narrow streets at times feel more like a parade route than a marathon course, arguably no home stretch in the sport inspires such raw emotion as passing through the Brandenburg Gate with the Tiergarten finish line in sight. Click for details on charity entry and time-qualifying standards. As the second largest member of the series, Chicago has several compelling factors in its favor. The first is its fast, flat course which takes runners on a scenic tour of the city’s ethnically diverse neighborhoods. The second is its Midwestern hospitality, on full display with jovial strangers congratulating you for hours after the race. And the third is its sensible acceptance rate, which rivals Berlin as the highest among the World Marathon Majors (~53% for the 2015 event). From its wide streets featuring ample elbow room to its finish in Grant Park, Chicago offers everything you could want in a big-city race. Click for details on charity entry. Re: time-qualifying standards, for the past several years men who have run a verifiable sub-3:15:00 marathon and women who have run a verifiable sub-3:45:00 marathon on or after January 1 have been able to guarantee their spot in the following year’s Chicago Marathon at any time during the lottery entry period. Annually the largest marathon in the world, New York is the 800-pound gorilla of the series with 52,813 runners crossing its Central Park finish line in 2018. Its sprawling course traverses the city’s five boroughs, starting on the Verrazano–Narrows Bridge in Staten Island and passing through Brooklyn, Queens and the Bronx before finishing in Manhattan. And like the city itself, the race attracts a decidedly international field, with runners from all 50 U.S. states and (in 2018) 153 countries. If you’re looking for 26.2 miles of memories, no race does “epic” on a grander scale than New York City. Whether you’re seeking the perfect first-time marathon or chasing the coveted Six-Star Finisher Medal for completing the series, the Abbott World Marathon Majors offer something for every running enthusiast. If you’ve run one or more of these races, we and your fellow runners would love for you to post your review(s) and share your experiences here on RaceRaves!